Looking for a New Ram 1500 in your area? CarGurus has 2,272 nationwide Ram 1500 dealers with 377,345 new car listings. The Ram 1500 continues as one of the key players in the uber-competitive light-duty pickup truck market. While the Chevy Silverado and Ford F-150 typically dominate the work site, the Ram 1500 is the smart choice for the daily-driver truck owner. This pickup focuses on creature comforts, bold styling, and a smooth, composed ride, making it a great choice for the commute or a weekend getaway to the mountains. The Ram 1500’s crosshair grille has long been a design hallmark of the brand, but Ram is starting to slowly phase it out, or at least cycle in other options for buyers. 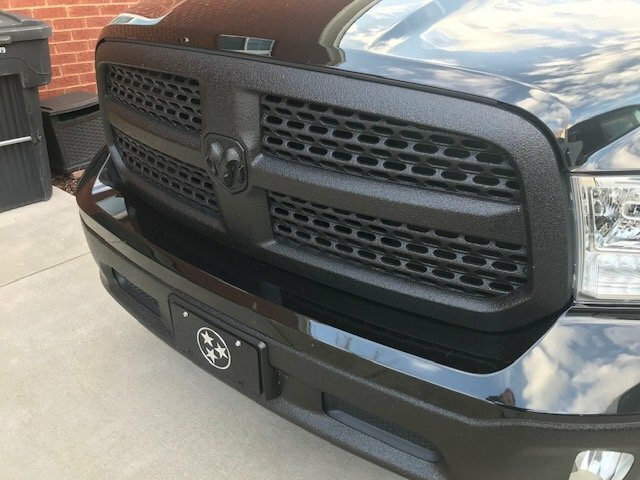 A new grille design that was once exclusive to the Ram 1500 Limited now extends to the Laramie Longhorn, Limited Tungsten, and Sport trims, as well as the Sport Appearance Package. This unique grille design replaces the crosshair with big “R-A-M” lettering on the front and pronounced slats and vents. It moves away from a Ram styling tradition while being just as bold as its predecessors. Ram offers three cab sizes (Regular, Quad, and Crew) and five bed/cab combinations on the Ram 1500. This includes the Regular Cab with an 8-foot bed; Regular Cab with a 6-ft, 4-in bed; Quad Cab with a 6-ft, 4-in bed; Crew Cab with 5-ft, 7-in bed; and Crew Cab with a 6-ft, 4-in bed. The Crew Cab boasts an incredibly spacious cabin, with plenty of head- and legroom for front and rear seat passengers. Even tall adults will find ample space in the second row of a Ram 1500 Crew Cab. The second row of the Quad Cab is a bit tighter on legroom, but still manageable for adults. As is customary among full-size trucks, the Ram 1500 is available in a multitude of trims, including (deep breath) Tradesman, Express, SLT, Big Horn/Lone Star, Sport, Night Edition, Rebel, Laramie, Laramie Longhorn, and Limited. The base Tradesman is a tried-and-true work truck, and comes standard with 17-inch steel wheels, manual mirrors, heavy-duty front and rear shocks, a Class IV trailer hitch, spray-on bed liner, front and rear black bumpers, and black grille. It also comes with automatic quad-lens headlamps and manual mirrors. But the Tradesman is not without its creature comforts, as it comes with six speakers and a USB port for auxiliary smartphone audio. The Express trim adds fog lights, a body-colored grille, and 17-inch aluminum wheels. Move up to the SLT and you get chrome front and rear bumpers, a chrome grille, overhead console, dual glove boxes, a sliding rear window, and a rear light for the bed. The Sport takes things in a different direction from the chrome of the SLT, instead going for body-colored bumpers and grille, unique sport-look halogen headlights with LED accents, and 20-inch aluminum wheels. It also comes with the aforementioned alternate grille design. If you want more excitement in your truck, the Rebel delivers an aggressive grille and fenders, additional body cladding, Bilstein performance shocks, and all-terrain tires. The Laramie Limited was the previous top trim and comes equipped with plenty of chrome exterior details, 20-inch polished aluminum wheels, an exclusive 7-inch digital instrument panel design, heated and ventilated high-back leather front seats, and a four-corner, self-leveling and adjustable air suspension. But the Laramie Limited has been usurped by the Limited Tungsten, a new super-luxurious model that comes with a sport hood with integrated vents, the wheels from the Limited, the headlights from the Sport, and body-color mirrors, door handles, and bumpers. It also features muted chrome accents that have less bling than the Limited but are nonetheless eye-pleasing. Ram takes versatility to new heights with the available Ram Box cargo-management system, a pair of cargo lockers along each outer side of the truck bed. They are drainable and tied into the power locks. New for 2018, the Ram 1500 is also available with an exterior switch for the LED bed-lighting system. The base radio (standard on the Tradesman and Express) is truly basic: a 3.0-inch LCD AM/FM stereo unit with 6 speakers, an auxiliary audio jack, and a USB port. The big tech update is the new 8.4-inch Uconnect touchscreen system. It features improved resolution, pinch-to-zoom, and now comes with Apple CarPlay and Android Auto. This system also boasts 4G LTE Wi-Fi hotspot capabilities and supports HD Radio. Two engines are available in the Ram 1500. The base 3.6-liter Pentastar V6 engine makes a respectable 305 horsepower and 269 lb-ft of torque. The top-dog engine is the 5.7-liter Hemi V8, making 395 horsepower and 410 lb-ft of torque. Power gets sent through an 8-speed automatic transmission to the rear wheels or available 4-wheel drive with low range. According to the EPA, the gas V6 engine gets fuel economy of 18 mpg city, 25 highway. The 5.7-liter V8 returns a respectable 15 mpg city, 22 highway. 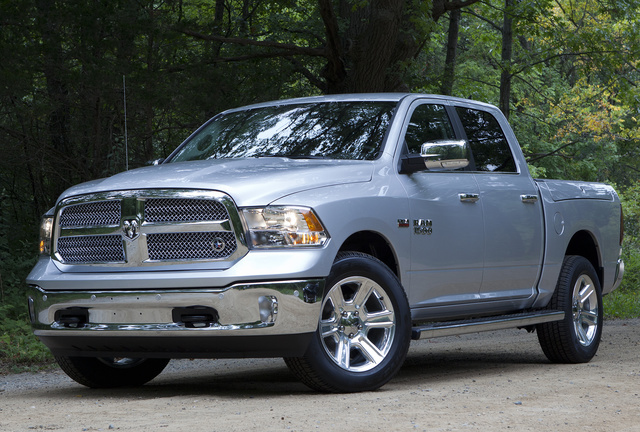 The fuel economy champion in the Ram 1500 lineup is the EcoDiesel V6, returning 21 mpg city, 29 mpg highway. That's outstanding among full-size trucks. For 2018, Ram now includes a reversing camera standard on all models and trims of the 1500. Standard safety features also include multiple front and side impact airbags, traction control, trailer-sway control, electronic roll mitigation, and hill-start assist. Base MSRP for the 2018 Ram 1500 is $26,495. The Sport trim starts at $36,595, while the Rebel starts at $45,095, and a lavish Limited starts at $52,875. With plentiful trims and options packages, you can find a Ram 1500 that matches your day-to-day needs as well as your style. What's your take on the 2018 Ram 1500? Have you driven a 2018 Ram 1500? Enter your zip to see incentives for a new 1500 in your area. Looking for a Used 1500 in your area? CarGurus has 165,733 nationwide 1500 listings starting at $4,999. Where Are Customers Reviews On Pickups Located?